Don't miss out on this affordable 2 bedroom, one bath, one level condo on 1st floor. Eat-in kitchen with door to back yard, sunny living room, unit needs TLC, grab a paint brush, install new flooring and call it home. 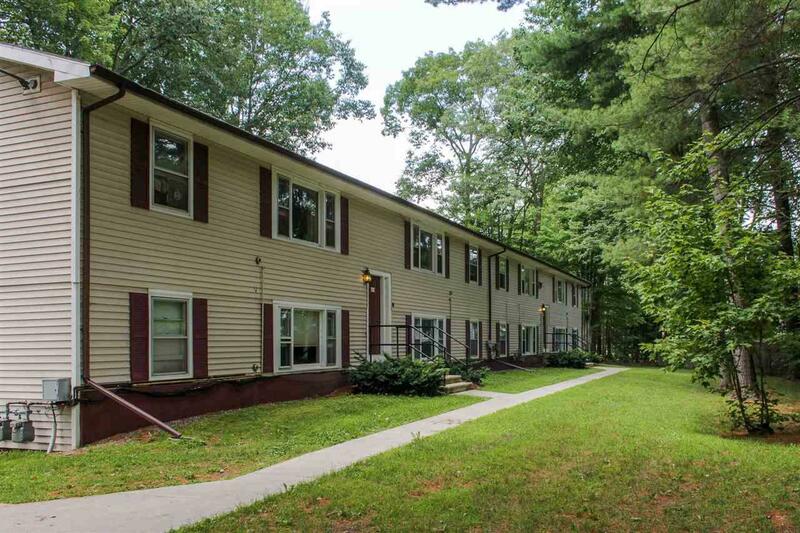 most units have installed gas monitor heaters, quiet wooded setting with garden space & plenty of parking, additional storage in common area, great location, minutes to Lang Farm, bike path, movie theater, town parks & pool, on bus line & walk to the middle school. Courtesy of Geri Reilly of Geri Reilly Real Estate.